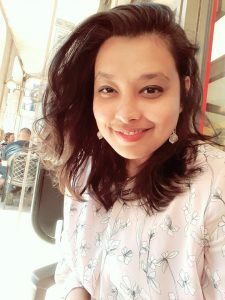 Sweta Chakraborty is currently enrolled in the School of Law and Government and her research is being funded by the Ireland India Institute in DCU. She worked in Kolkata, India as an Assistant Professor of Sociology at St. Xavier’s College. She has a Masters and M.Phil Degree in Sociology from the University of Hyderabad, India. The aspiration of this project is to discern the boundaries that separate validated Hindu religious practices and beliefs from superstitions in the different ontological and epistemic locations of the agencies that are instrumental in shaping these categories. The debates on secularism in India have often used the terms ‘superstitions’ and beliefs’ in opposition to each other, without defining the boundaries of the usages of these terms. The confusion heightened with the effort by various rationalist organizations in India to introduce anti- superstition bills in the different states to combat blind-faith and introduce scientific temper to disenchant and ‘modernize’ India. They have found a strong opposition in the Hindu nationalist organizations who criticize their actions as anti-Hindu and anti-religious. But these discussions are often exclusive to the elite high circles of both these groups (conservatives and rationalists) and discount the voices and perception of the everyday lives of the practitioners of the faith. The main objective of this research is therefore to focus on the notion of ‘superstitions’ and locate its boundary from validated beliefs. I would attempt to understand how these terms are being used by different groups: 1. in everyday life, 2. in public discourse and 3. in religion related juridical texts. It will be argued that this debate has ramifications for the maintenance or dissipation of the secular democratic framework of India. This is an effort towards making religion related policies in India more inclusive in their approach.